Successfully Added No.1 X6800 IP68 Smartphone - 6000mAh +800mAh Battery, 4G, 5.5 Inch Display, Quad Core CPU, 13MP Camera, Android 4.4 (Black) to your Shopping Cart. No1 has certainly been making a name for itself in the Smartphone market and the X6800 rugged phone doesn’t let up as it combines some incredible features that are sure to grab attention. The No1 X6800 Smartphone from leading Chinese manufactures is unique, not because of its 6000mAh removal battery, Which is in itself impressive, but because it can run without the battery. Now that's a fairly neat feat and it’s possible because this extraordinary rugged Android phone has a secondary built in battery that has 800mAh of power. So you can take the main battery out and it will keep running. With a snapdragon Quad Core processor and 1GB of RAM the phone has plenty of grunt so it’s capable of handling demanding tasks. It’s tough rubberized outer offers up good shockproof qualities while the sealed exterior bring an IP68 rating so its protected from water, dust, and even extreme temperatures ensuring it keeps on running no matter where you are or what you’re doing. With a 5.5 inch 720p display this screen on this phone provides high quality images, the sharpness can be measured in the number of pixels per inch and with a 267PPI you can enjoy crystal clear images in fine detail. A 13 MP primary camera is mounted on the rear of the phone and let you take some really stunning pictures as well as 1280x720 videos for capturing every moment in stunning quality. 4G connectivity that covers 8 bandwidths lets you connect to the fastest cellular networks in almost every country so uploading your adrenaline packed adventures couldn’t be quicker, while download speeds of 150 Mb/s the 4G network let you stream HD movies directly to your phone. 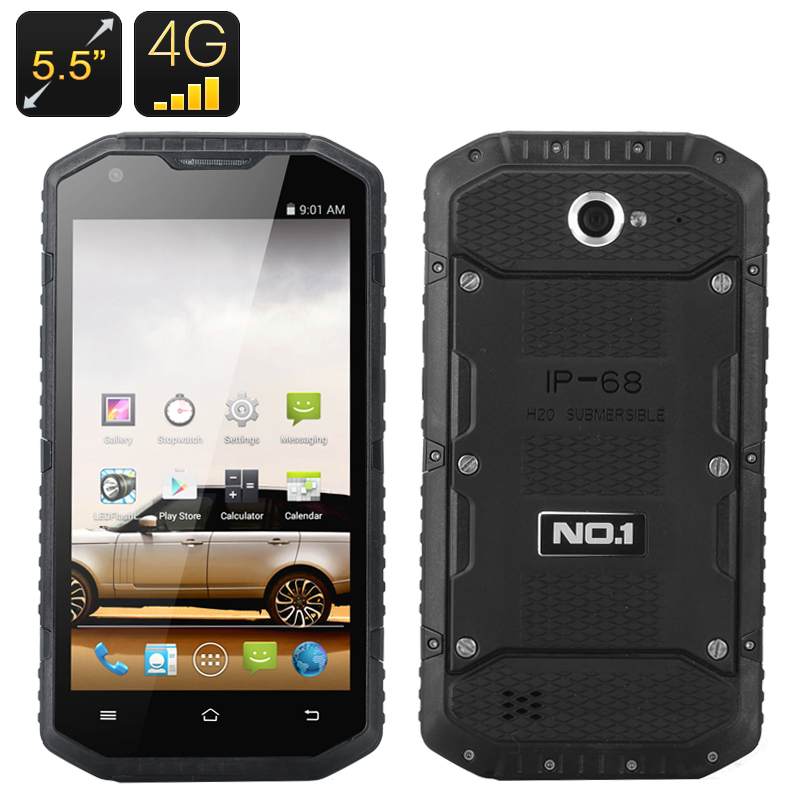 The No1 X6800 is another stunning offering from Chinese rugged phone manufacturers that brings a powerful performance and worldwide connectivity in a tough package the can withstand all you throw at it. The No1 X6800 comes with 12 months warranty. Brought to you by the leader in electronic devices as well as wholesale Android Smartphones, Chinavasion..
On / Off switch for backup built in battery, when in the On position the built in battery is enabled, When in Off position the built in battery is disabled.